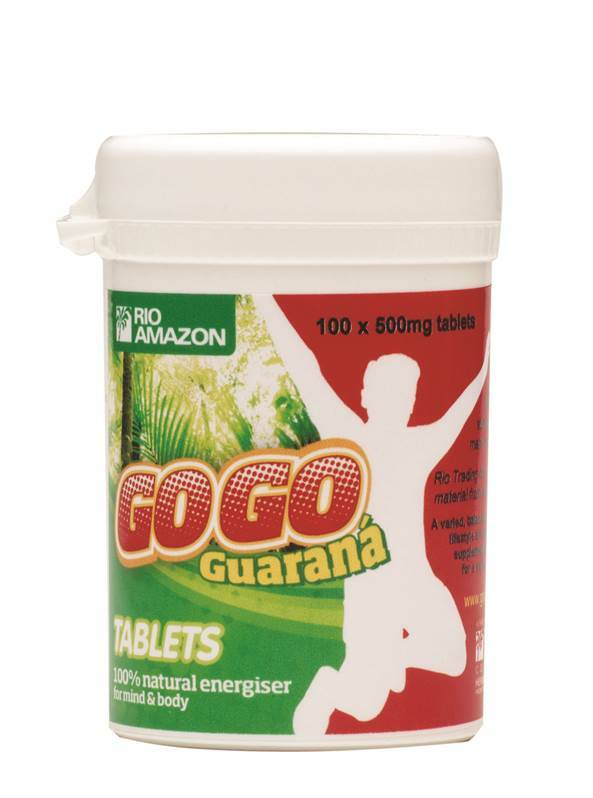 Rio health guarana increases physical, mental & sexual energy & relieves fatigue and so helps stay awake when driving and reduces fluid retention and appetite as well as increasing metabolic rate. The vast bulk of guarana is grown in a small area in northern Brazil. Guarana gum or paste is derived from the seeds and is used in herbal supplements. Due to small amounts of caffeine like substances in guarana, if taken in excess guarana may cause similar symptoms that a cup of coffee or strong tea may have. However, it's not common to have these reactions as guarana is slow releasing over approximately 6 hours. Generally 1-2 grams per day would not have any of the adverse effects of coffee. Guarana should be avoided during pregnancy and lactation.